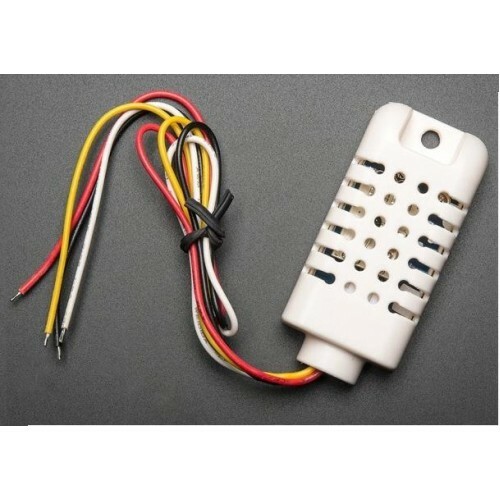 The AM2302 is a wired version of the DHT22, in a large plastic body. 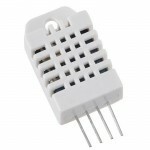 It is a basic, low-cost digital temperature and humidity sensor. It uses a capacitive humidity sensor and a thermistor to measure the surrounding air, and spits out a digital signal on the data pin (no analog input pins needed). Its fairly simple to use, but requires careful timing to grab data. AM2302 output is a calibrated digital signal. It applys exclusive digital-signal-collecting-technique and humidity sensing technology, assuring its reliability and stability. Its sensing elements is connected with 8-bit single-chip computer. 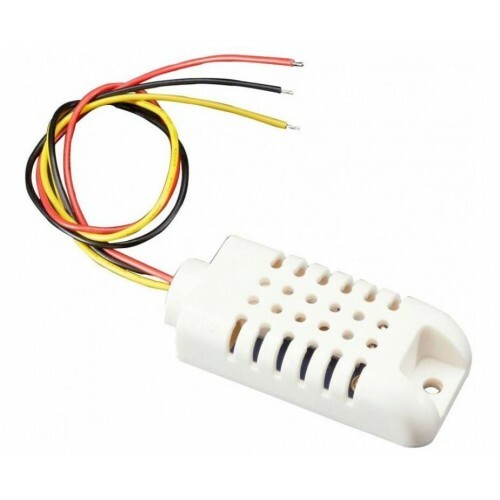 Every sensor of this model is temperature compensated and calibrated in accurate calibration chamber and the calibration-coefficient is saved in type of program in OTP memory, when the sensor is detecting, it will cite coefficient from memory. Small size & low consumption & long transmission distance (100m) enable AM2302 Temperature and Humidity Sensor Module to be suited in all kinds of harsh application occasions. Single-row packaged with four pins, making the connection very convenient. There is a 5.1K resistor inside the sensor connecting VCC and DATA so you do not need any additional pullup resistors. 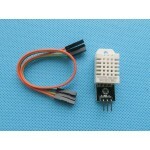 DHT22 / AM2302Digital-output relative humidity & temperature sensor/module DHT22 (DHT22 also nam..
DHT22 / AM2302 With PCBDigital-output relative humidity & temperature sensor/module DHT22 (DHT22..